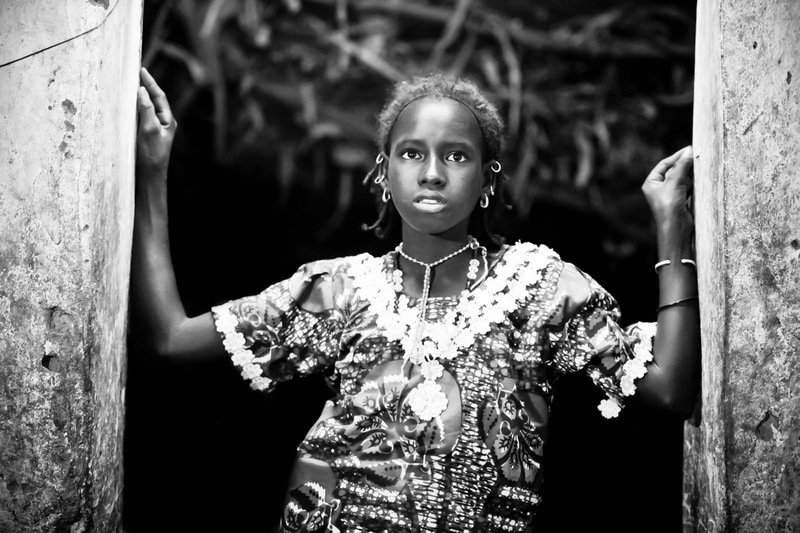 Kuuto, Fulani Girl | Irene Abdou Photography, LLC - Travel. Lifestyle. Documentary. NGOs, Development & Public Health. In the town of Djibo in northern Burkina Faso, a young Fulani woman peers into a house at night. Behind her, a straw hangar provides shade during the daytime.